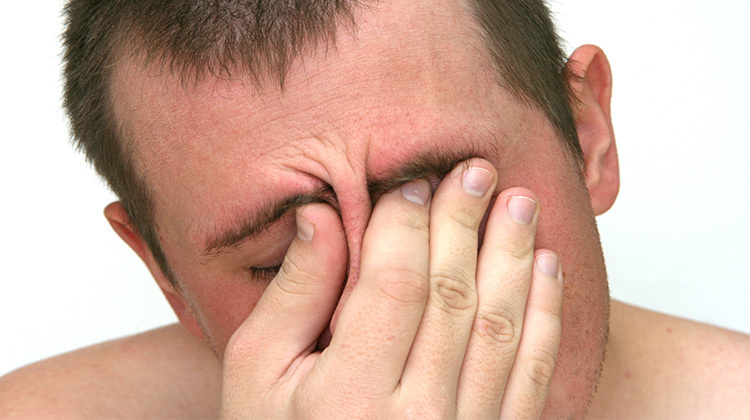 Sinus headaches are a nuisance which everyone wants to get rid of! But the question is how to do so? Are resorting to pharmaceutical drugs the only option open to us? Not really. Like all other ailments this disease too has several natural remedies to it. You can change your lifestyle, improve your sleeping and eating habits and overtime eradicate all forms of sinus problems. While these are the long term remedies for sinus headaches, there are several short term herbal remedies available too! Here is a list of the very best herbs for you to use. Sinus headaches are majorly caused by inflammation of the sinuses. The strong smell of this herb helps combat this. It is thus used majorly as an expectorant. It also helps remove and prevent any further infection. The general way of administering this herb is to breathe in its heavy vapours. This helps thin the mucus blocking your nasal passages and thus, remove them. Its anti-bacterial properties are also a great help. All in all, this a remedy which you must try out. This herb is extremely important in treating sinus headaches. It comprises of parthenolides. These elements prevent the blood vessels in the brain from constricting and building up the blood pressure which ultimately lead to severe headaches. It is thus imperative in avoiding migraine-like headaches caused by build up of pressure in the sinus cavities. Its anti-inflammatory and anti-bacterial properties make it very precious from the medical point of view. Ginger’s anti-bacterial and anti-inflammatory properties cannot be paralleled. Since inflammatory issue are the major cause of sinus headaches, ginger is a great help in treating this problem. The best way to administer this herb is to inhale the steam arising from a cup of freshly brewed ginger tea. Add extra slices of ginger to increase the potency of the tea. This helps thin and remove mucus which has accumulated in your nasal passages. To make the tea all that you have to do is add a few slices of ginger to a cup of boiling water and let it steep for a few minutes. Inhale the steam rising over its surface and drink it while it’s still hot. Rosemary is often used for aromatherapy. T has a relaxing and soothing effect on your body. It will help soothe irritated tissues. Use rosemary essential oil in your bath or add it to a vapourizer and breathe in the steam. Inhaling the herb’s essence will help clear out mucus accumulations and reduce inflammation. This is an excellent remedy which is easy to execute and great to experience. Peppermint with its smell is again excellent in relieving sinus headaches. It soothes irritated tissues, reduces inflammation and gets rid of mucus accumulations by thinning them. Peppermint tea with a little chamomile in it goes a long way in helping you overcome sinus headaches. You can even add peppermint essential oil to vapourizers and breathe in its essence. However peppermint is a potent herb and should be used judiciously.